Corin Redgrave, member of the British acting dynasty, fell ill on Easter Sunday and died on April 6 at St. George's Hospital in London. He was 70. Redgrave had been in poor health for several years, having survived both prostate cancer and a massive heart attack in 2005. Though less famous than sisters Vanessa Redgrave and Lynn Redgrave, or their father, Michael Redgrave, Corin did star in numerous stage productions and appeared in a few films as well. His mother was actress Rachel Kempson, who was featured in a handful of British films. His daughter is actress Jemma Redgrave. One niece, actress Natasha Richardson, died last year following a skiing accident. Another niece, Joely Richardson, has starred in numerous movies and television shows. Besides his acting, Corin Redgrave (born on July 16, 1939, in London) was also known for his left-wing politics, which he apparently inherited from his socialist father. Like Vanessa, Corin helped to found the Workers Revolutionary Party in the early '70s. He also spoke for the independence of Palestine and, more recently, for the the withdrawal of British troops from Iraq and for the closing of Guantanamo. 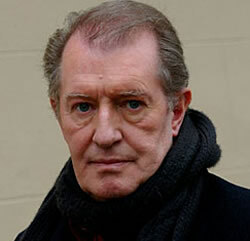 Redgrave was absent from the RSC for about two decades, from the early '70s to the mid-'90s. He also claimed that for years the BBC wouldn't hire him. About his performance in the title role of a 2004 RSC production of King Lear, The Guardian's Michael Billington wrote that Redgrave “climbed Mount Lear and through a mixture of energy, intelligence and thoughtful husbanding of his resources got as close to the summit as one could hope.” Michael Redgrave had played that same role half a century earlier. Besides tackling Shakespeare, Redgrave also worked in plays by Anton Chekhov, Tennessee Williams, Alan Ayckbourn, and many others. In 1993, Corin and Vanessa founded the Moving Theater Company so as to stage plays with a social or political message. One of their most notable efforts was a 1998 staging of Tennessee Williams' Not About Nightingales, about inmates at odds with abusive prison guards, which played in London (earning Corin an Olivier Award), New York, and Houston. Corin Redgrave's film work, almost invariably in brief supporting roles, was less notable than that of either Vanessa or Lynn. He had a minor part in Fred Zinnemann's Oscar-winning A Man for All Seasons (1966), in which Vanessa had a cameo as Anne Boleyn; was one of the many stars featured in Richard Attenborough's Oh! What a Lovely War (1969); and supported Leslie Caron and Bulle Ogier in Eduardo de Gregorio's Sérail (1976). Among his other notable film roles are those in the Oscar-nominated In the Name of the Father (1993) and Four Weddings and a Funeral (1994), and as Sir Walter Elliot in Roger Michell's well-received adaptation of Jane Austen's Persuasion (2005). One of Corin Redgrave's last stage appearances was last year, at London's Jermyn Street theatre in a play based on the life of blacklisted screenwriter Dalton Trumbo.